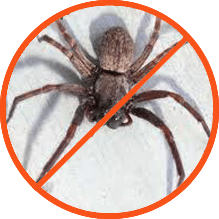 Spider infestations are often less obvious than other pest problems. Many spider species prefer to hide out in dark undisturbed places, so a little searching might be required to locate them. Rest assured we are here to help and produce successful pest free results. For Fleas & Spider Pest Control, All City Pest Management should be your first point of contact.